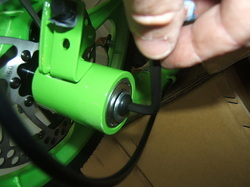 **** Please note....Instructions with scooter errored and said to turn this axle bolt "clockwise". 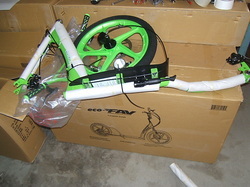 THAT IS WRONG. 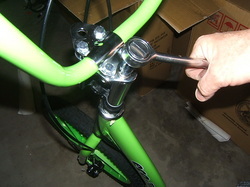 This bolt is to be threaded COUNTER CLOCKWISE. 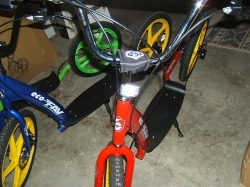 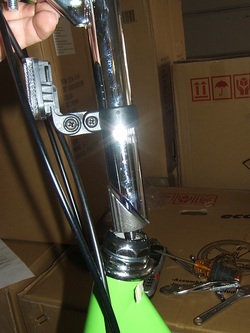 Turn scooter upside down on handlebars and on rear wheel and set in front wheel. 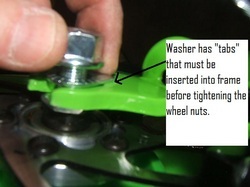 Tighten both wheel nuts snug and make sure "tabs" on washers are into holes on fork. 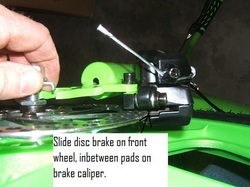 The brake pads have 2 small bolts that can be loosened to adjust the pad distance from the wheel disc. 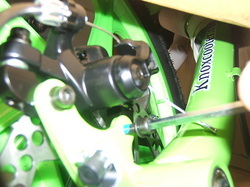 There will be just a very slight bit of space on each side of the disc and the pads. 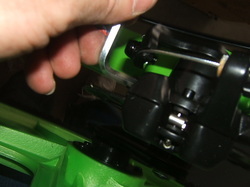 It takes a bit of adjusting to get the wheel to turn without touching the pads. 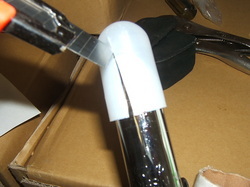 If they touch a bit , thats ok too. 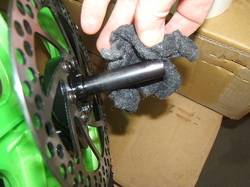 brake pad unit down onto the disc. 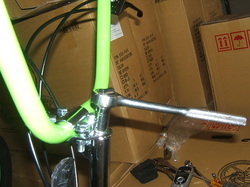 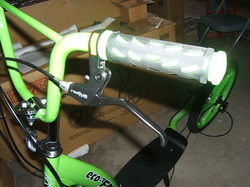 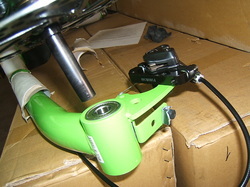 * Tighten the top 4 handlebar bolts to frame clamp . 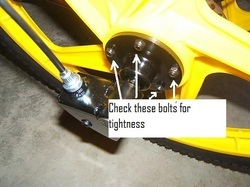 (Fig 12) THIS IS VERY IMPORTANT TO ENSURE THESE BOLTS ARE TIGHT FOR SAFE RIDING. 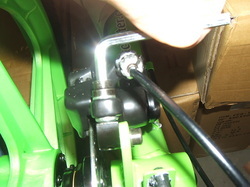 * If needed, loosen the CLUTCH lever with allen wrench and turn it upwards a bit then re-tightened. 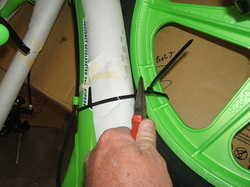 Fill tires to 35 lbs.Wear a helmet, ride in safe uncluttered areas. 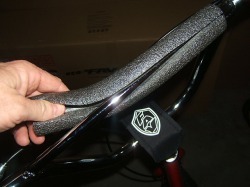 Ride only on smooth surfaces.